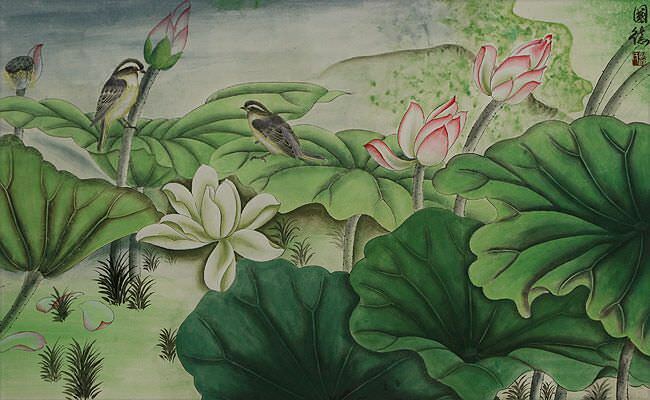 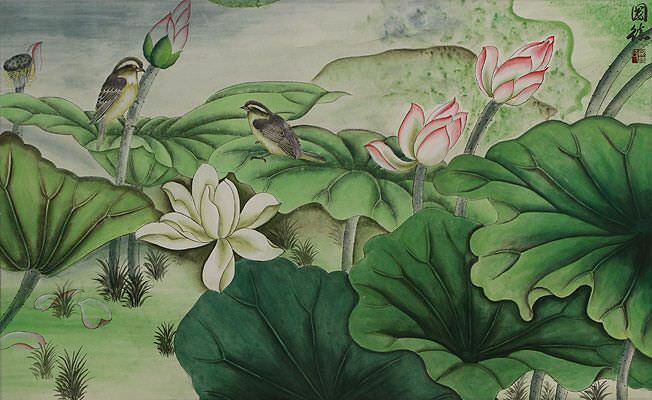 Artwork Panel: 130.8cm x 64.6cm ≈ 51½" x 25½"
Silk/Brocade Border: 151.2cm x 75cm ≈ 59½" x 29½"
The lotus flowers make a handy perch for the bird in this painting. 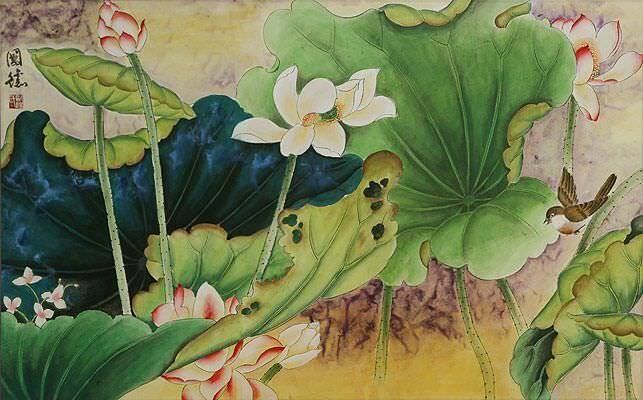 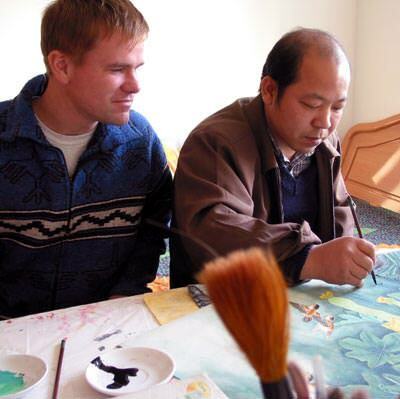 This was painted using watercolors on xuan paper (rice paper). 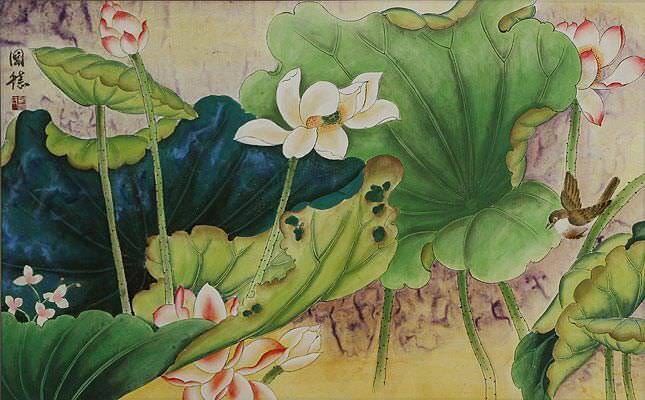 It has been mounted with a shiny silk border making it ready-to-frame.